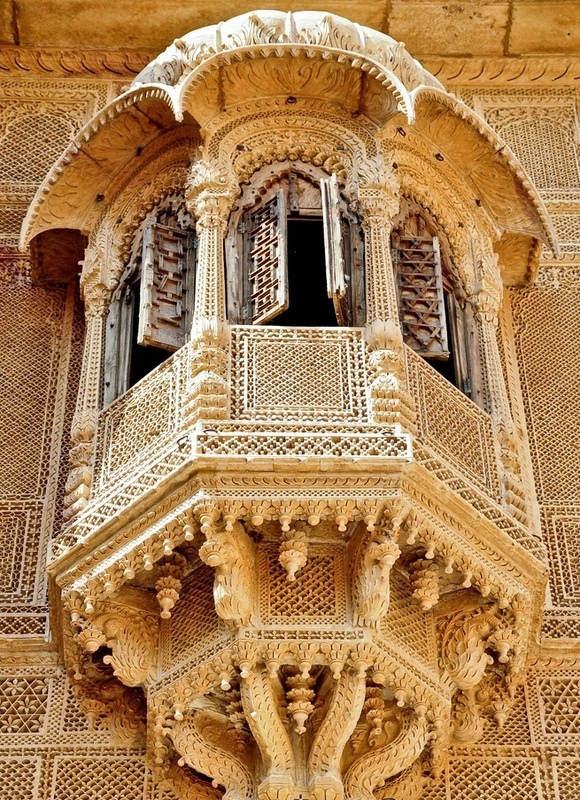 Jaisalmer nicknamed "The Golden city", is a town in the Indian state of Rajasthan. It is located 575 kilometres (357 mi) west from the state capital Jaipur. It was once known as Jaisalmer state. The town stands on a ridge of yellowish sandstone, crowned by a fort, which contains the palace and several ornate Jain temples. Many of the houses and temples are finely sculptured. It lies in the heart of the Thar Desert (great Indian desert) and has a population of about 78,000. It is the administrative headquarters of Jaisalmer District. Jaisalmer is named after its founder Maharawal Jaisal Singh, a Rajput king in 1156 AD. "Jaisalmer" means "the Hill Fort of Jaisal". Jaisalmer is sometimes called the "Golden City of India" because the yellow sand and the yellow sandstone used in every architecture of the city gives a yellowish-golden tinge to the city and its surrounding area.